Are you equipped enough with the Word of God to face the challenges of being a believer in 2018? Ministry today has become a tricky thing. Once we could ask people on what basis they hoped to go to heaven; now we live in a world that, at best, ignores heaven or, more probably, disbelieves it. Once we ministered among unchurched people who would nonetheless agree that going to church is a good thing that they “ought” to do, but now they find church a quaint relic of a bygone past. Once we could safely assume that people had a respect for the Bible—all of it—and considered it the Word of God, even if they had not read it or did not understand it. Phrases like “the Good Book says” punctuated public discourse, schools did not schedule sports on Wednesday night because it interfered with prayer meeting, stores were not open on Sundays, and the pastor was one of the most respected men in town. We now minister in a different world. Gender is considered fluid, marriage is temporary, morals are malleable, and personal autonomy—sexual, economic, and moral—is the greatest good and highest goal. Biblical literacy has been replaced by indifference or disdain. Preaching is deemed outdated or, worse still, hate speech. With the culture arrayed against the orthodox teaching of the church for 2000 years, Christians find themselves embarrassed by the Bible or, at least, parts of it. Passages that instruct women to submit to their husbands make them cringe and are no longer read in wedding ceremonies. Texts that address gender, sexuality, or God’s design in marriage have proved terribly inconvenient and are barely mentioned in some churches. Old Testament stories of warfare and conquest are discarded as endorsing violence and genocide. We need to understand, however, that people are no more desperately lost now than they have ever been. While things have certainly changed around us, in some ways the lines are clearer because they are not cloaked by the fog of cultural Christianity or a traditional religion that has no genuine effect. False believers won’t stick around very long in the face of intimidation, marginalization, or persecution. We also need to remind ourselves that we don’t have tougher challenges than Paul. The gospel is not less effective than it was when he preached. God’s ear is not heavy that it cannot hear, nor His arm shortened that He cannot save! The power of the Gospel and the Word of God is as great now as ever. Since the Gospel is the power of God unto salvation in the 21st Century just as it was in the 1st, Christians must study and apply the Word of God. 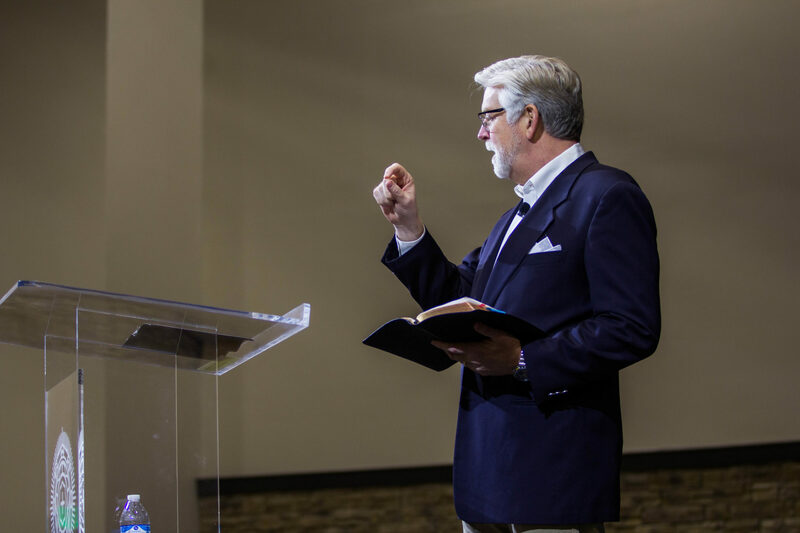 I realize that my preaching alone is not sufficient to teach our congregation, so we have designed a strategic and thorough Sunday School curriculum that will help you develop theologically and spiritually. If you will commit to attending Sunday School, worship, and a community group every week, I promise you your spiritual life will deepen and develop. These are three things that we ask and encourage of every member of Buck Run—and that means you!